Pokemon Sun and Moon; New Features Revealed! And with that, the series structure basically got completely overhauled. 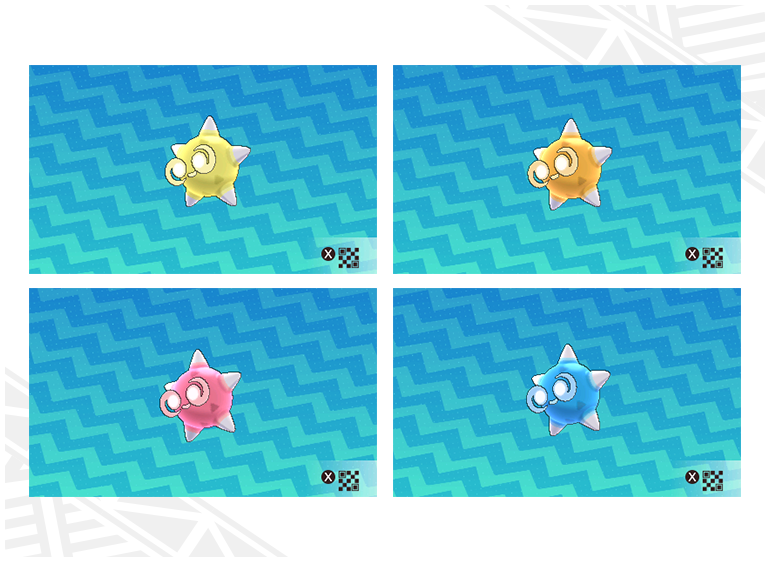 New features, new Z-Moves, yet more forms for old Pokemon… it seems Pokemon Sun and Moon are going to be very different to the past games! But what are Alola Forms? Well basically, some Pokemon have adapted to the Alola region with new forms and abilities. 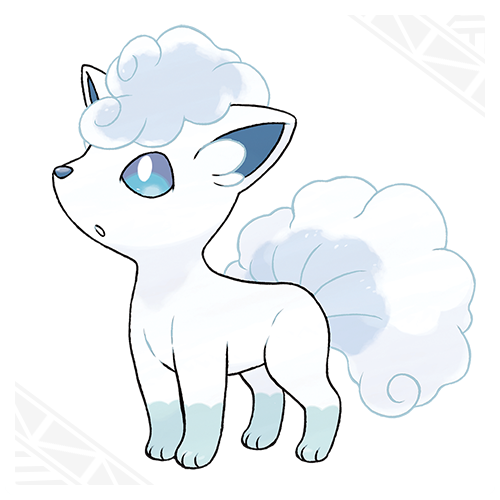 These range from the really cool redone Vulpix and Ninetales (they’re ice types now)! 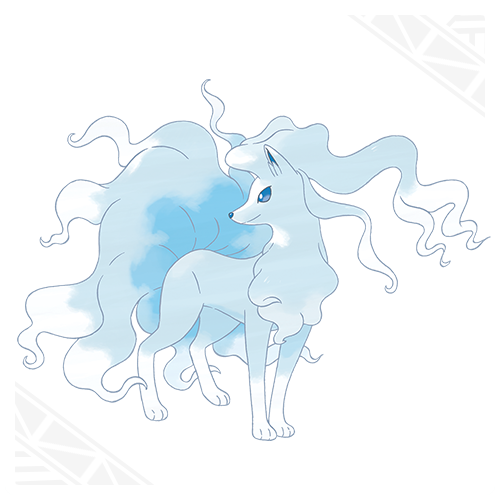 Alolan Vulpix and Alolan Ninetales. 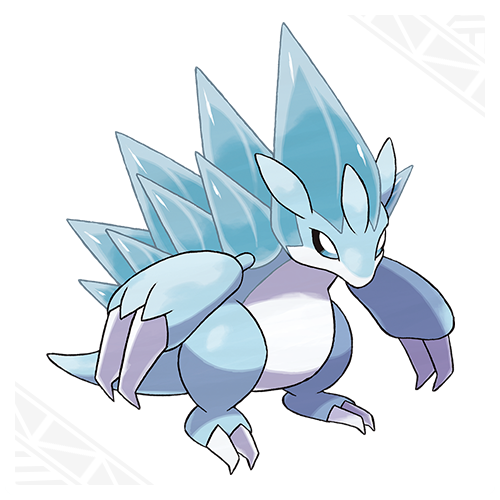 Both are now Ice types with Snow Cloak as their ability. 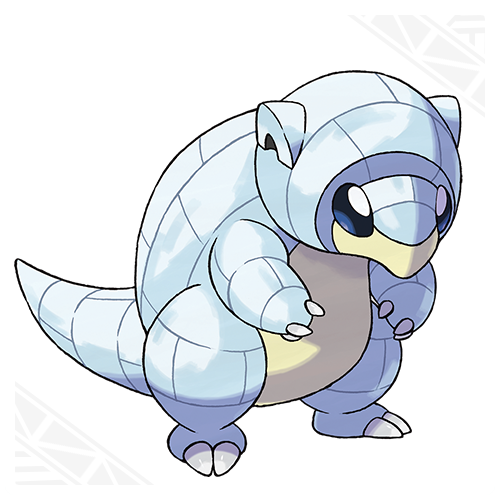 Alolan Sandshrew and Sandslash. Both also have Snow Cloak as an ability. Seriously, that last one looks weird. 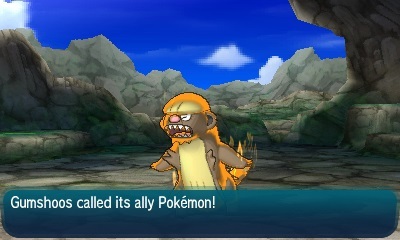 And it’s apparently a Grass/Dragon type too. So yeah, this aspect is gonna be interesting. As is another one, in that gyms don’t be present in this game. Instead, each island has trials to overcome and kahunas to battle. So it’s basically a lot like the Orange Islands in the anime series, where you’re set different tasks rather than just battling everyone in sight. 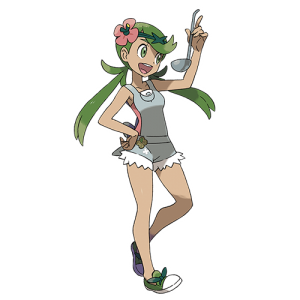 Lana, a captain who is an expert with water type Pokemon. 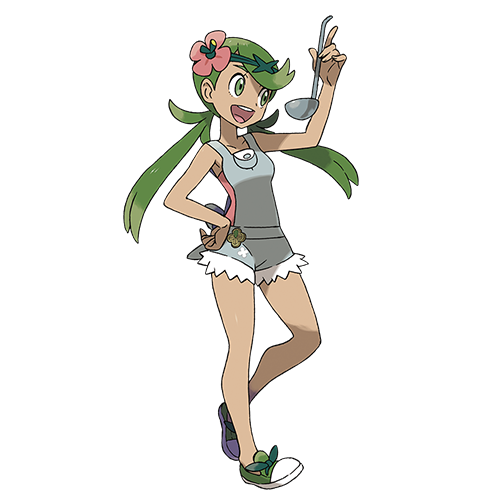 Captain Mallow, who is an expert with grass types. 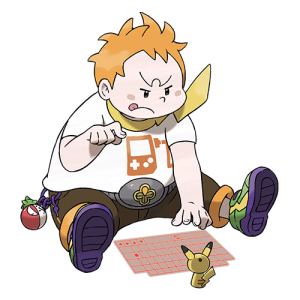 Captain Sophocles, who’s good with mechanics and specialises in electric type Pokemon. 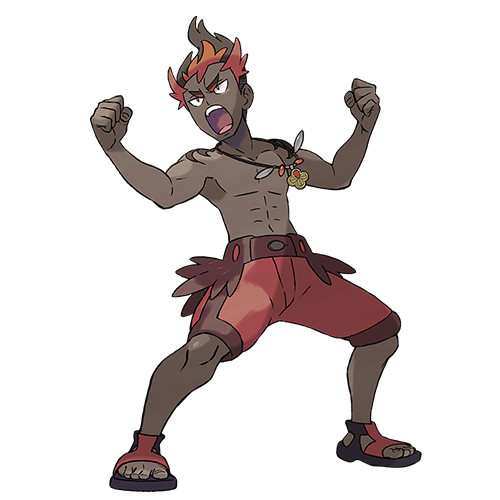 Kiawe, a captain who specialises in Fire types. 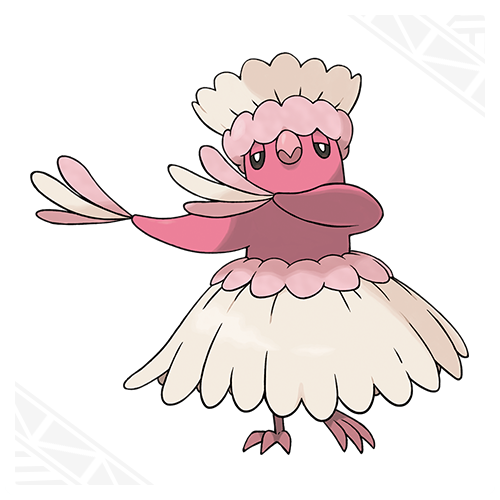 He studies the traditional dances that have been passed down in the Alola region. The last one is interesting. Why? 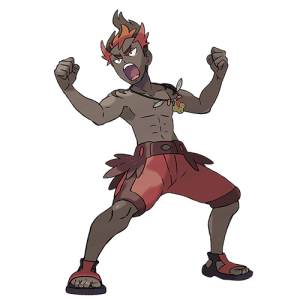 Because Kiawe is noted to have a Marowak, which isn’t Fire type. Guess Marowak might be getting a Fire/Ground Alola version in the future! 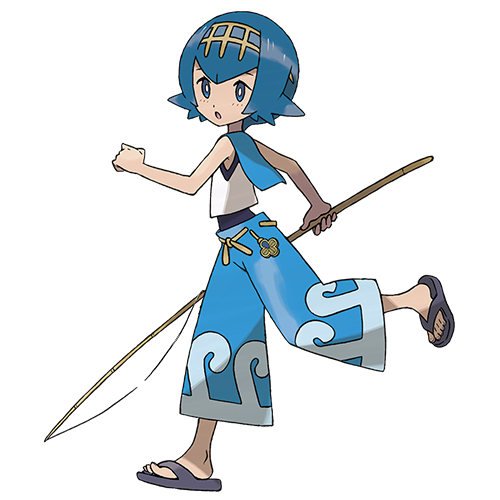 Quickly moving on from that though, the only known kahuna is Hala. 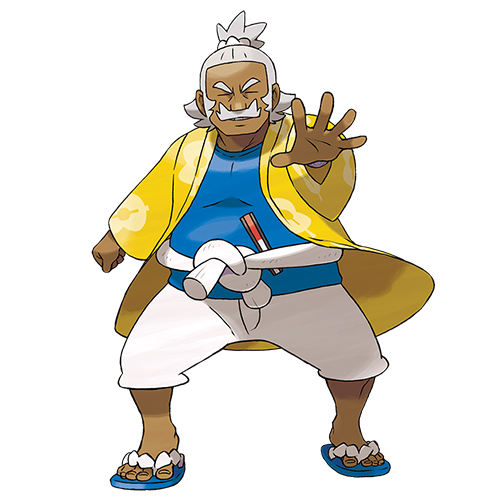 This character (who you’ll recognise from the early trailers) is the kahuna of Melemele Island and is your rival’s grandfather. 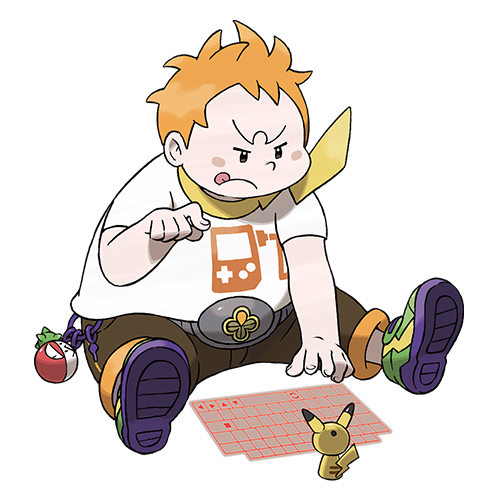 He’s also the guy who gives you your starter Pokemon, so it’ll be interesting to go all out and battle him. It’s a very different structure to past games, and definitely looks like it should shake up the series formula a bit. Moving on to Pokemon now, the trailer also revealed a few new ones. Yeah, we’re certainly getting a lot of these, aren’t we? I mean, the game’s still not out for a few months yet, and we already know about 25 new species of Pokemon! Without even counting today’s reveals! 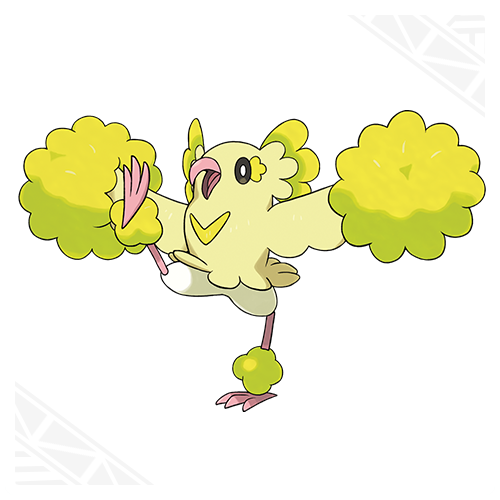 Of which the first one is a bird Pokemon called Oricorio. This is an interesting species, because it has a different form on each island. What’s more, these forms have different dance styles, type combinations and attacks. 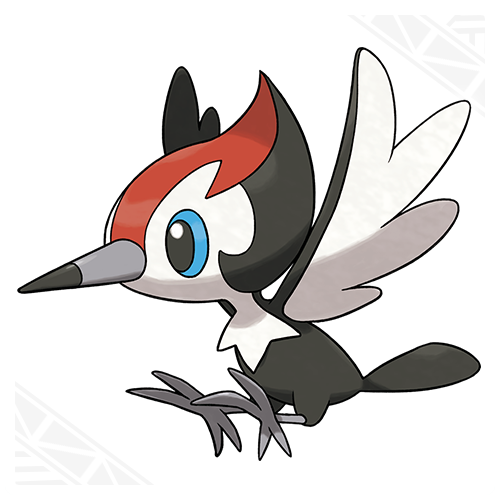 A Fire/Flying variant, which is supposedly ‘very passionate’ and is filled with power whenever it dances. An Electric/Flying form, which is friendly towards people. 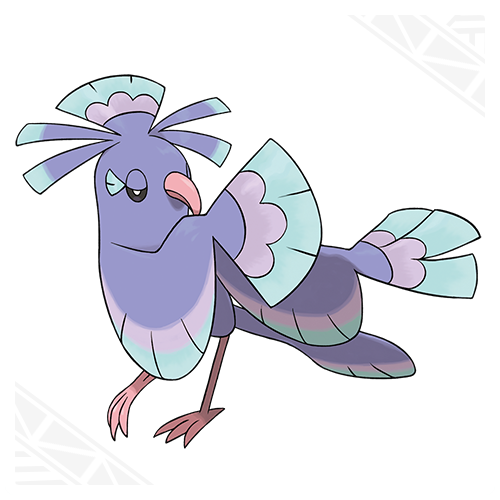 Its feathers are charged with static electricity when it dances. A Psychic/Flying form, which can be ‘difficult to deal with’. Its spirited moves are ‘sharpened’ through dance, which increases its Psychic power. The last version, and a Ghost/Flying type (didn’t expect that one!). It supposedly ‘gathers the spirits drifting about in an area and borrows their power to fight’. 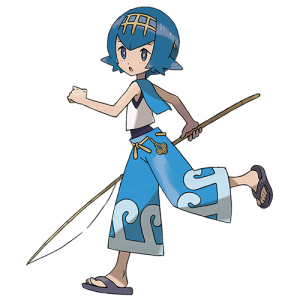 The ability for all of these forms is Dancer, which copies any dance moves using by opponents. So in other words, if your opponent uses say, Swords Dance, Oricorio will use it as well. It’s a very context specific ability, but one that could be useful regardless. 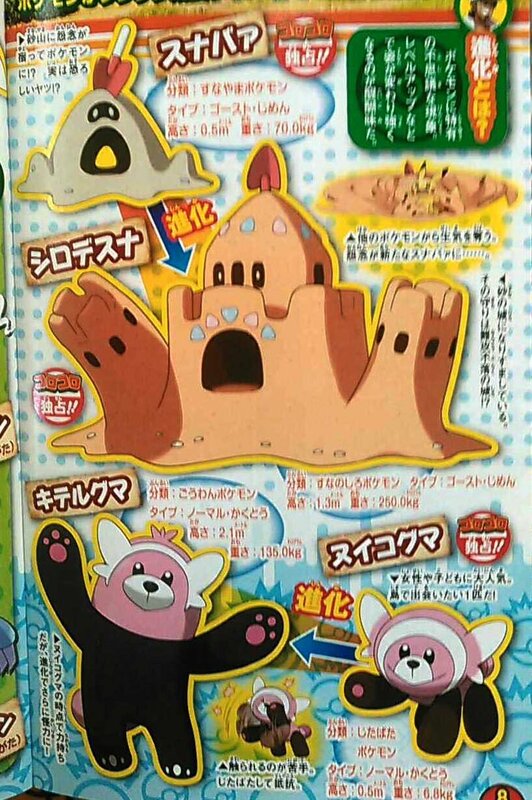 Another reveal was Minior, a strange Rock/Flying Pokemon. 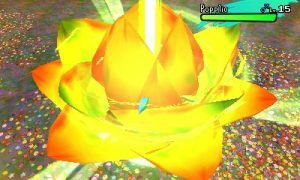 This monster has a soft core surrounded by a rocky shell, with the latter breaking if its HP drops below half. 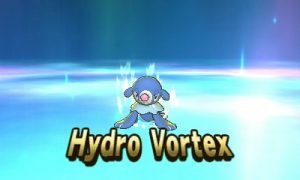 Said ability is called Shields Down, and after its used, the Pokemon becomes lighter and better suited to attacking. So yeah, it’s a slow defensive Pokemon when its shell is up, and a fast attacking one when it’s down. It’s a bit like Aegislash with its Stance Change. Minior and its various core colours. Also of note, its core also comes in multiple colours. No idea whether this matters in battle. 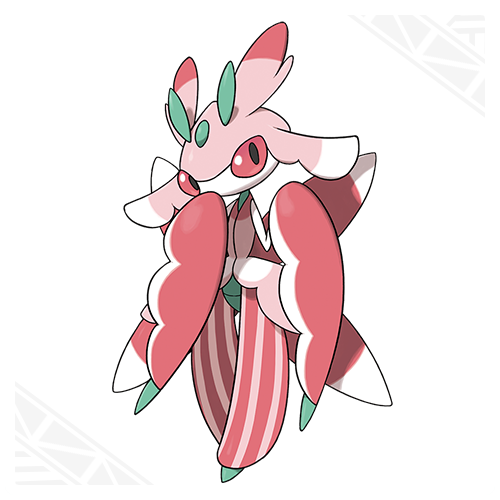 Yet another set of new Pokemon are called Fomantis and Lurantis. 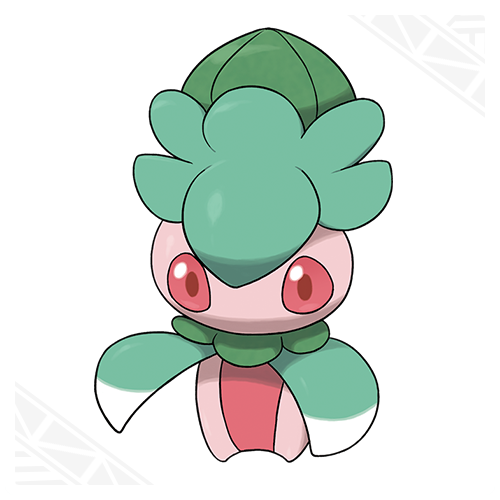 Both are part of a Grass type evolutionary line, with the latter learning a new move called ‘Solar Blade’. 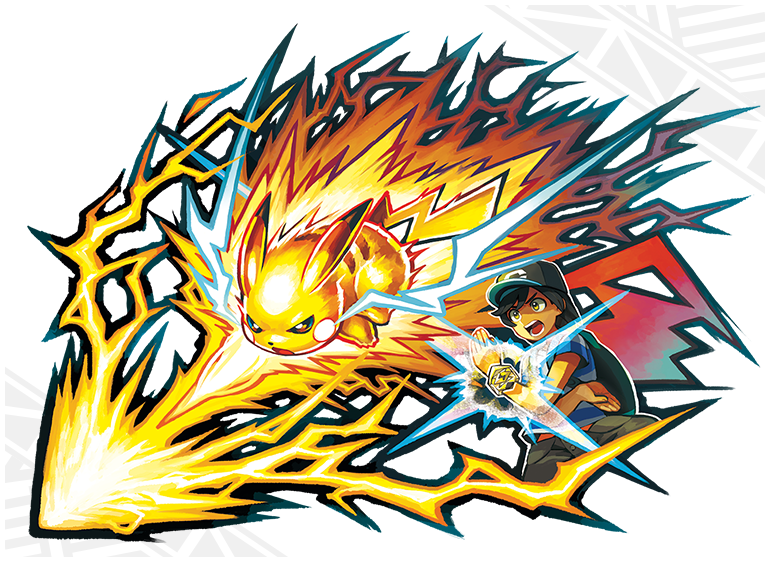 Said move involves it charging on the first turning and attacking on the second, and is likely meant to be a physical counterpart to Solar Beam. 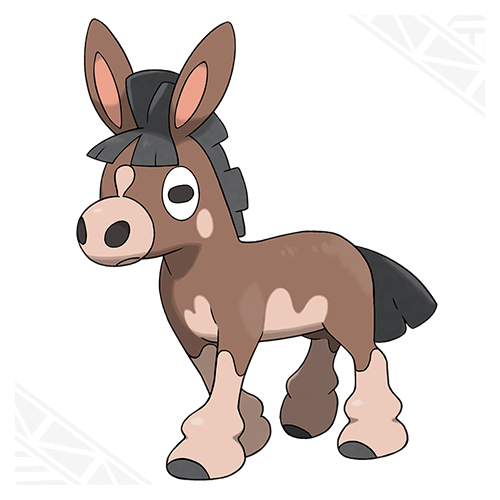 Lastly on the new Pokemon front, we’ve got Mudbray. 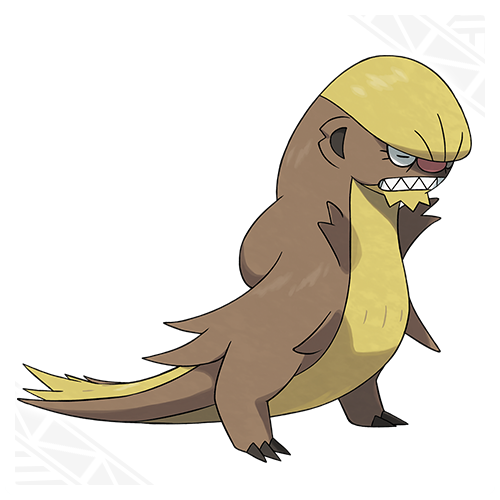 It’s a younger form of Mudsdale, with the same typing and abilities. 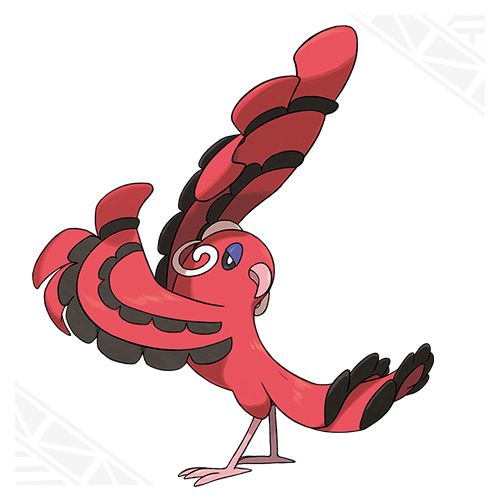 Depressingly, the official site says it’s nearly extinct due to overhunting, with the Alola region being the last place in the world it’s found in. That’s pretty dark for a Pokemon game, don’t you think? Who would hunt this horse? 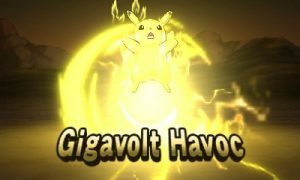 Moving onto new mechanics now, we’ve also got some new information about the rideable Pokemon shown earlier. Apparently they don’t join the players team, but can be called on for help at any time. Based on how they let the player access areas they couldn’t reach before, it seems like they may be the Alola equivalent of Hidden Machines or something. Last (but certainly not least), we have Z-Moves. 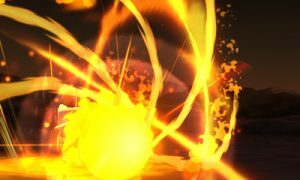 Yeah, those super powerful moves seen in some early trailers. Basically, they’re powerful moves that be used by any Pokemon once per battle. Well, apparently the trainer wears a Z-Ring, with Z-Crystals set into it. Then, if a Pokemon holds the same type of crystal, the two will be able to ‘resonate with one another’. 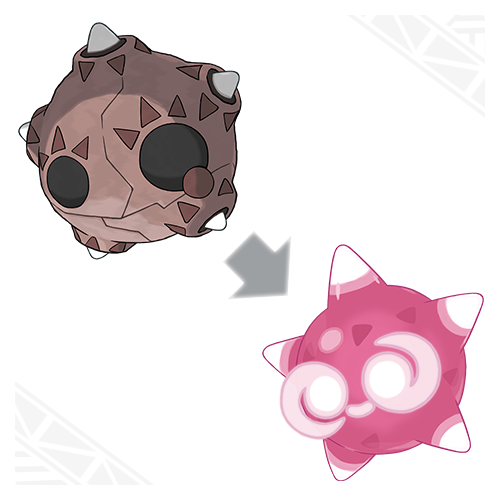 Oh, and said Pokemon needs at least one move of the same type as the Z-Crystal. That’s not a particularly challenging requirement (especially if said Pokemon has moves of its own type), but it’s one to look out for anyone. 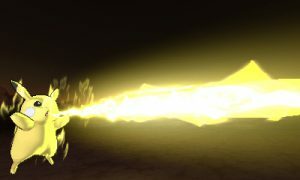 As you can see, those are some terrifyingly powerful sounding attacks, with animations to match. 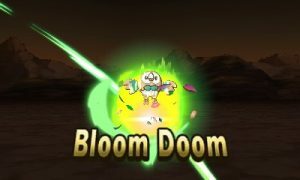 Almost like the Pokemon equivalents to Final Smashes if you ask me! 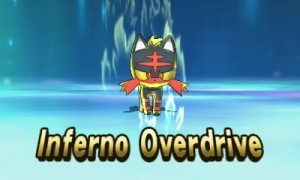 So that wraps up today’s news about Pokemon Sun and Moon. But what do you think of it all? Were the new features interesting ones? 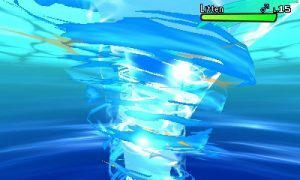 Do Z-Moves and Alola Forms add more to the game? Post what you think in the comments here today! 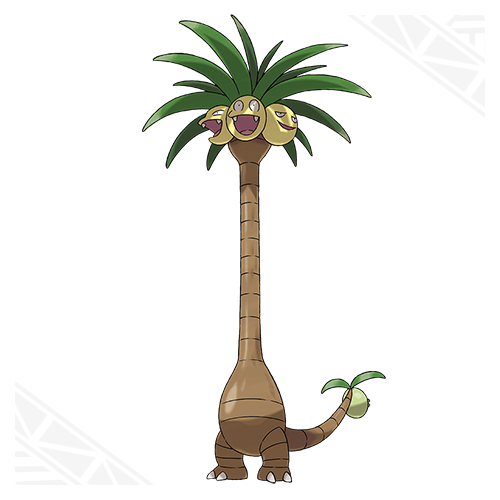 I kind of like the ice changes, but Exeggutor? Lol what the hell? 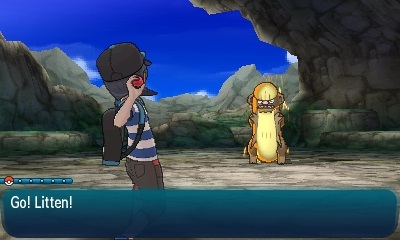 The look is one thing but whats with the dragon type? 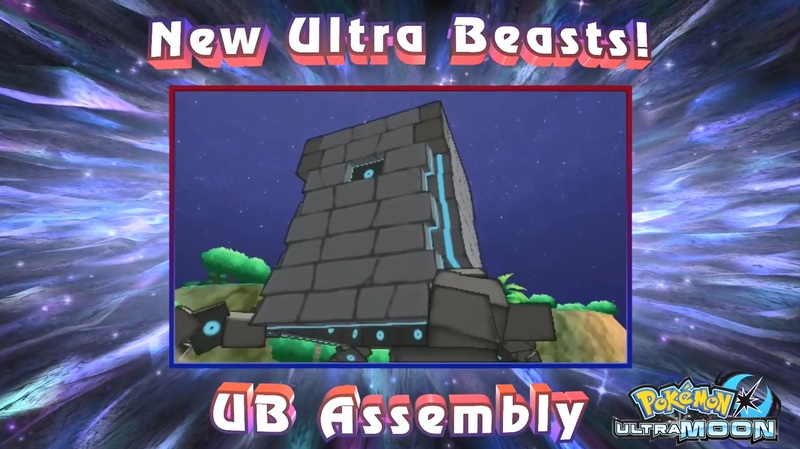 New Ultra Beasts Revealed for Pokemon Sun and Moon!